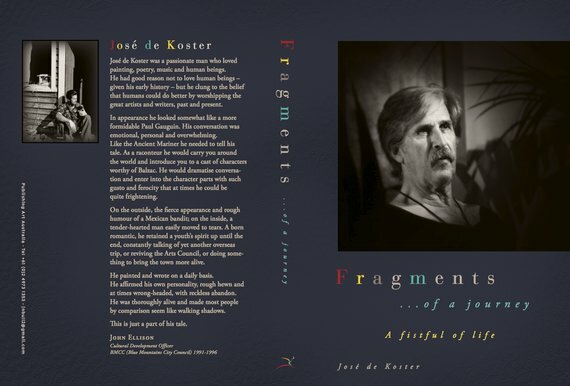 "Fragments of a Journey, A Fistful of Life" is a beautifully designed autobiography by Jose de Koster, a memoir which traces the events that have shaped the author's growth both as an artist and a man. It begins with his innocent and idyllic early years in the then Netherlands East Indies and now Indonesia - an innocence brutally shattered by the war years, firstly, with the invasion and occupation of the Japanese army and then, his subsequent internment. He survived the horrors of the camp only to be embroiled in the turmoil, on his release, of the Indonesian fight for independence. His story continues with repatriation to Holland thence migration to firstly, New Zealand and then to Australia where he finally settled in the beautiful Blue Mountains of New South Wales. Designed by Publishing Art Australia, the book is richly textured with photographs, images of his paintings and a scattering of the many poems he wrote.Like his paintings, the book in itself is a work of art. 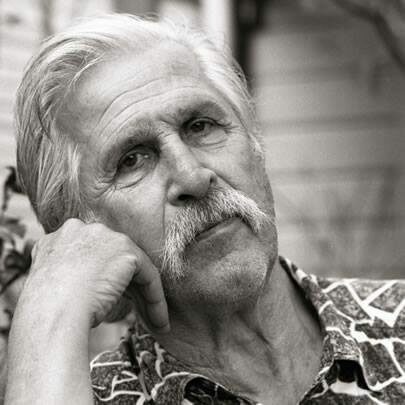 Born in Medan on the island of Sumatra, Indonesia in 1929, Jose de Koster, painter, poet, writer and all-round individual has lived a life which rivals one of his most loved characters, that of Zorba the Greek. He spent his teenage years in a prisoner of war camp under the Japanese occupation. After the war, Jose recovered his strength sufficiently, after moving to Holland, to qualify as an Olympic standard swimmer. 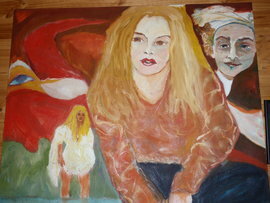 He moved to New Zealand in his early twenties and, inspired by Gaugin, Picasso and van Gogh, began to paint. 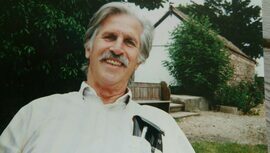 In 1966, he moved to Australia and eventually took up residence in Blackheath in the Blue Mountains. Jose's work was featured in The National Gallery of Victoria in Second landing - Dutch painters in the Southern Hemisphere". He has exhibited extensively in Australia, New Zealand, The Netherlands, Belgium, Germany, Denmark and various countries in Latin America where he was part of a touring exhibition in that continent. Jose's autobiography, "Fragments of a Journey, A Fistful of Life" was published in February 2018. The book is available for purchase using PayPal at $AU30. Please contact with your name and address when you make a payment. © Elizabeth de Koster, 2018. All rights reserved. ISBN 13: 978-0-646-98150-5 Published by Elizabeth de Koster. No part of this book may be used or reproduced in any manner whatsoever without written permission except in the case of reprints in the context of reviews. Compilation and Editing, Eleonora Wyszecka. Haiku Passages, Elizabeth de Koster. Book Design and Production by John and Yolande Bull, Publishing Art Australia. Printed in Australia by Minuteman Press, Prahran,Victoria Creator: José de Koster, author. Subjects: Dutch East Indies history, Japanese internment, Artist’s life, Poetry and prose, Fragments of a life well lived.